While on our recent European holiday, we managed to find ourselves a nice spot for afternoon tea at Koffie ende Koeck, a vegan cafe in Amsterdam. And oh my goodness, it was amazing! I suspected nobody would do an afternoon tea quite like the English, but how wrong I was. 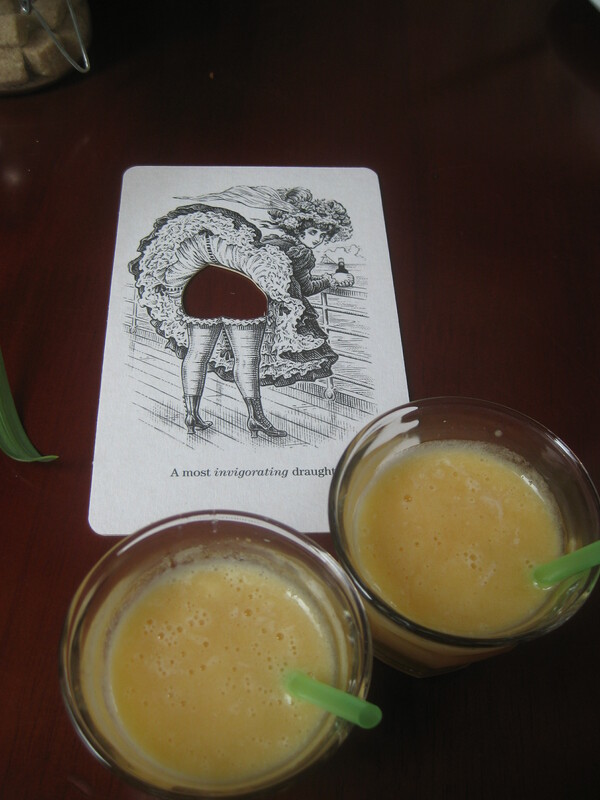 While the staff were putting the finishing touches to the main event, they brought us over a little appetiser in the form of this pineapple smoothie with a gingery kick – this was part of their breakfast menu which, considering our pretty dismal breakfasts elsewhere in Amsterdam, I wish we’d sampled as well. 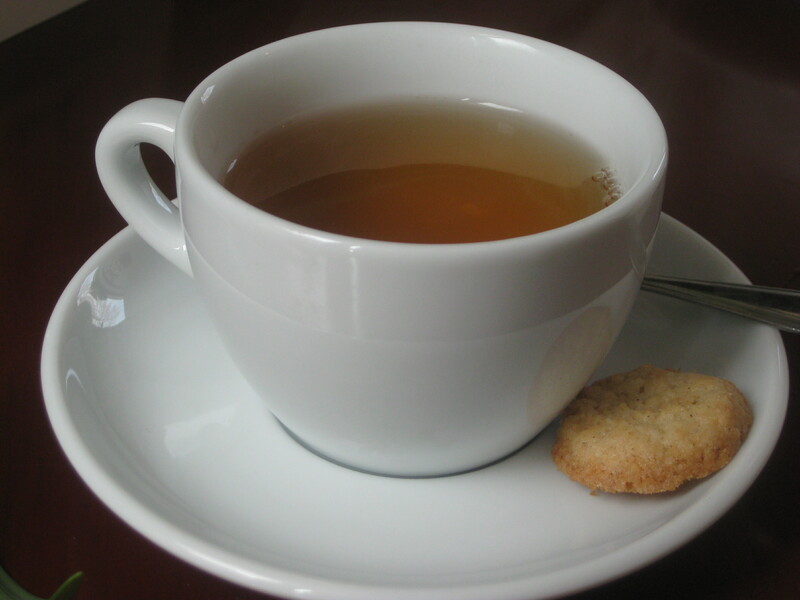 They brought over a pot of rose tea with a little coconut biscuit on the side. My fellow wished it had been standard English breakfast tea, but I thought this was delightful and complemented the sweet treats very well. Free top ups were included, which is always a bonus. 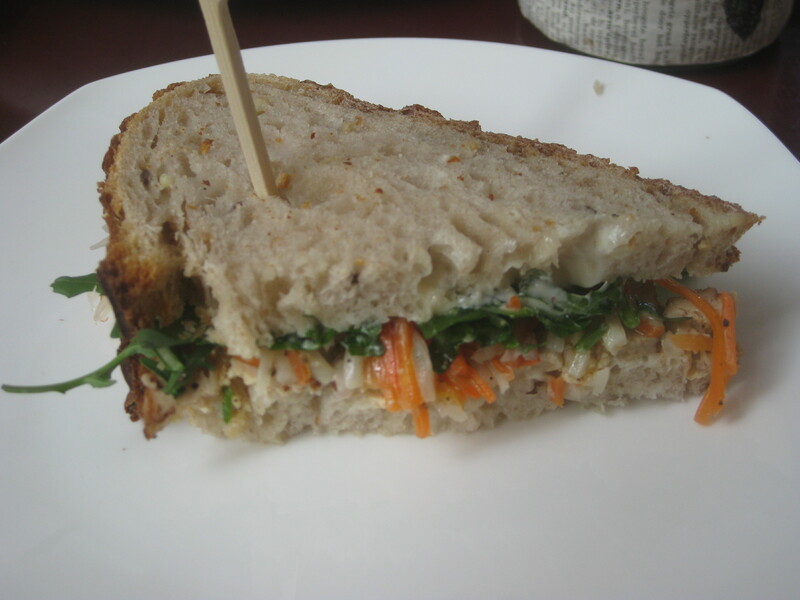 First we tackled the savoury plate, which included a smoked tofu and salad sandwich on delicious toasted bread, a savoury scone and a pot of yoghurt with crunchy granola. 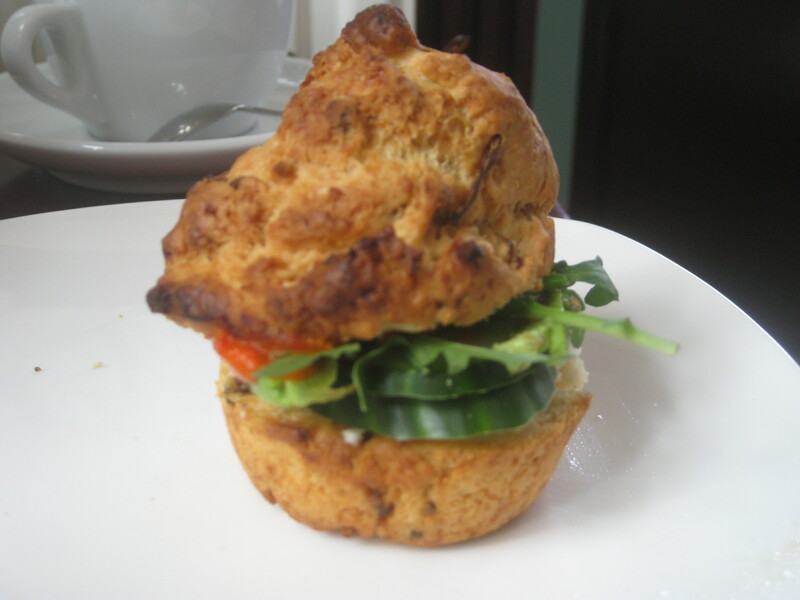 The sandwich was fantastic, and the scone was a real surprise – it was nice and crisp outside, and the filling was a mixture of cream cheese, cucumber and avocado with a real spicy zing to it. 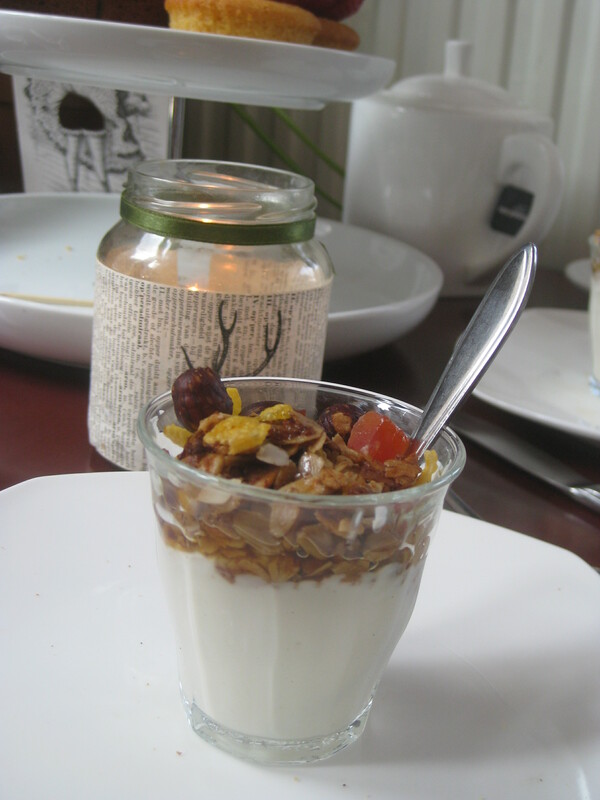 The granola was quite unorthodox, but I liked that, and it made a nice transition from the savoury to the sweet plates. On the middle plate we had a slice of upside down banana cake, which was surprisingly pink! It was really tasty, but the sponge was a touch drier than usual, presumably because it was upside down. At the front was the surprise winner, a gluten-free lemon cake. I always expect gluten free cakes to be dry, but this was gloriously sticky and sweet, and full of lemony flavour. Hiding at the back was a little bounty bar: a layer of chocolatey puffed rice topped with creamy coconut and topped with dark chocolate. The puffed rice had gone soft and didn’t lend that longed for crunch, but it was still really tasty – there are few flavours I enjoy more than coconut. 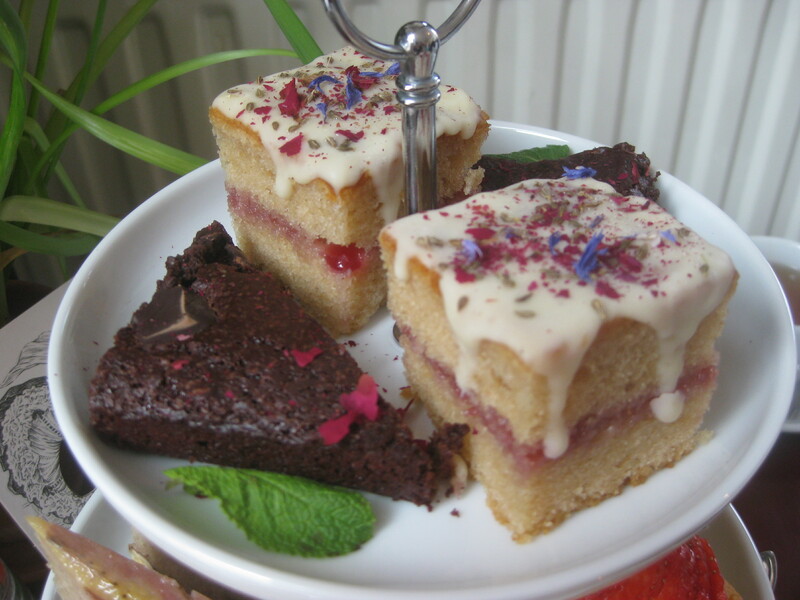 And to finish off, gluten free brownies and the house speciality, rose petit fours. Again, we’d feared the worst from the brownie as it looked quite dry, but fortunately, beneath that crust lurked a moist and dense cake. It had a few chocolate chunks hiding in there as well. The petit four had a really delicate rose flavouring (it’s easy to make it too over-powering) and lovely white chocolate icing: no wonder they’re a favourite. Koffie ende Koeck is such a gorgeous little place, I keep wishing it were my local cafe. It’s situated just near Westerpark, so it’s perfect for a summery stroll as well. The interior is really cosy and nice, and there’s outdoor seating as well for the nicer weather. The waitresses were lovely, and provided an unhurried, relaxing service and made us feel very welcome. 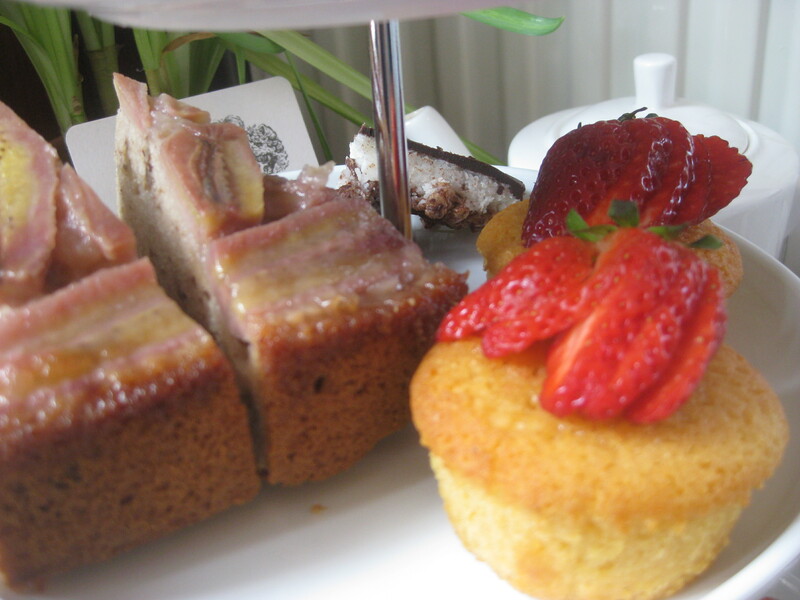 We booked the afternoon tea via their Facebook page, and communication was all very easy. Writing this up, I may have just persuaded myself to book another flight to Amsterdam! 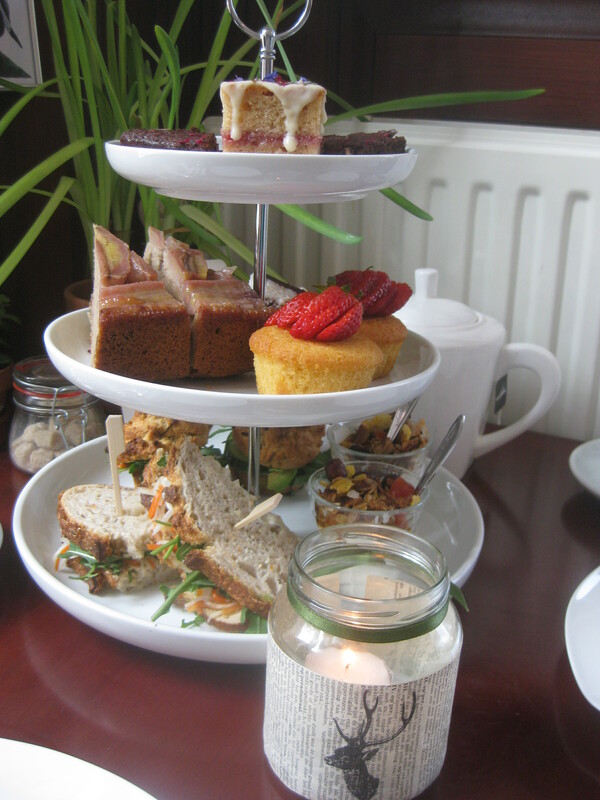 This entry was posted in Afternoon tea, Travel and tagged Koffie ende Koeck Amsterdam, vegan afternoon tea, vegan Amsterdam. Bookmark the permalink. I like that a lot. I have a particular fondness for afternoon tea, but there just aren’t enough of them out there that I get a regular opportunity to indulge my fondness! If I have to go to Amsterdam though, I’m happy to do that. I am highly impressed with the afternoon tea you discovered. I think I would be a bit confused by the granola, but I’d work my way through it nonetheless. Liking the rose petit fours a lot. Yeah, the granola was a surprising addition but we enjoyed it! The rose petit fours were definitely the prettiest and most impressive treat. I’m now hunting for an afternoon tea possibility for May!